While I’m not a Dingle Peninsula wedding photographer every day, I sure wish I was after photographing this Irish adventure elopement! This November I went to Ireland for my first time. I first spent two days in Dublin with my husband where we got to hang out with his cousin who lives there. My husband Justin’s mom is from Ireland, and so he’s been over there many times to visit family. It was so special to me getting to visit Ireland with him! After a week of driving the Wild Atlantic Way from Westport down to Killarney with Justin, I headed to Ballintaggart House in County Kerry. 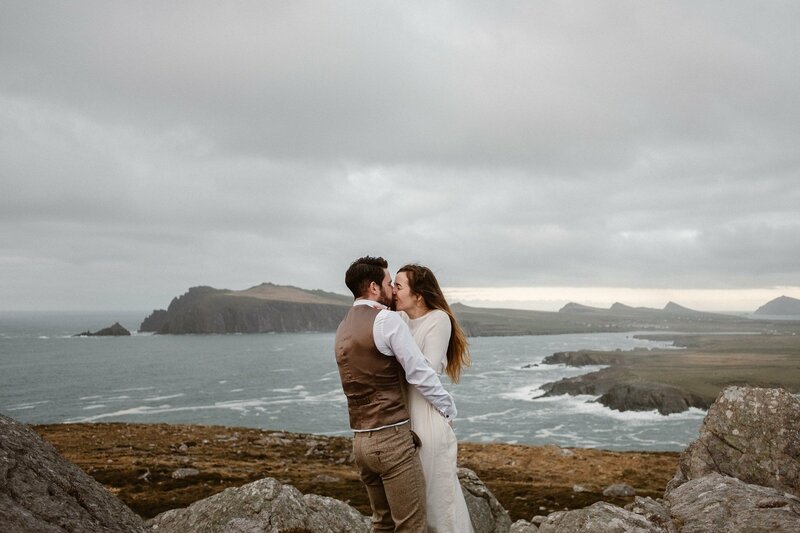 I had the most incredible time playing with being a Dingle Peninsula wedding photographer for a week! There are so many insane locations within an hour from Ballintaggart. One of my absolute favorite places that I got to shoot was out on Slea Head Drive for Christin and Gareth’s adventure elopement photos. 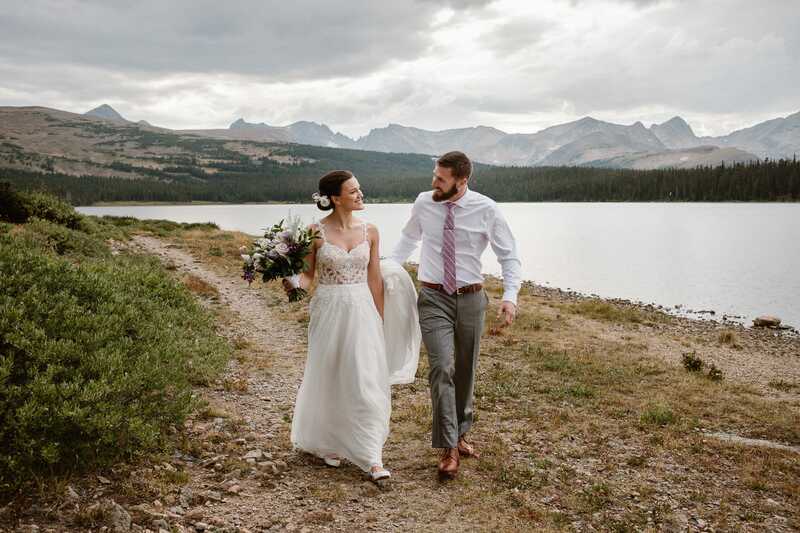 And once you see these photos, I think you’ll see why I was in love! The Slea Head Drive is part of the Wild Atlantic Way, and by far one of the most beautiful places I saw on this trip. Slea Head itself has gotten a surge of fame recently, thanks to the latest Star Wars trilogy. The dramatic cliffs of Dunquin Pier, and the island of Skellig Michael, keep growing in popularity. According to locals I talked to, the place gets swamped with tourists in summer. But as I was there in early November, there were hardly any people around. So I was able to enjoy my day as a Dingle Peninsula wedding photographer with my couple without the crowds! If you’re looking for a Dingle Peninsula wedding photographer, I would absolutely love the excuse to travel back to this beautiful part of Ireland to capture your big day. Get in touch and I’ll put together a custom collection for you! And if you’d like to see more from the Slea Head Drive, check out my photos from this epic Conor Pass adventure elopement!